Indoor air quality (IAQ) is a big deal. It doesn't get near as much attention as energy efficiency or green building programs, but it should be one of the highest priorities for anyone who lives in a home. It's actually part of an even bigger deal called indoor environmental quality (IEQ), but I'm just going to focus on IAQ here as I show you four ways your ducts might be hurting your indoor air quality. The photo above shows one example of a duct system that pulls in bad stuff and distributes it. I wrote about this case last year when one of the HERS rater companies we work with, E3 Innovate in Nashville, found this disconnected return duct in a nasty, vented crawl space. That's bad enough by itself, but this one also had a dead possum lying close to that bad air vacuum cleaner. Even the best filtration system would be hard pressed to remove the putrefaction from that air. Panned joist returns over moldy crawl spaces or basements are another easy way for bad air to get into your home. Bad air can be pulled from the other side of the filter as well. Air handler cabinets, for one, are notoriously leaky. Filter housings and filters are often worse. Sometimes they have no cover, as you can see below. Sometimes you may think you've got a great filter that's doing its job, but inside the box lies a an IAQ surprise, as shown below. This expensive media air cleaner is supposed to be supported by combs that hold the pleats apart but has suffered from a collapse. The resulting hole at the top serves as an easy bypass for the air, so little was actually getting filtered here. But not all the the bad stuff happens in the return ducts, which are supposed to pull air from the house back to the unit to be conditioned and which run under negative pressure. Duct leakage on the supply side can create IAQ problems as well. Take a look at the diagram below. This system pulls 10 units of air from the house, sends it back to the HVAC system where it gets heated or cooled, and then puts 10 units back into the supply ducts. In this house, the supply ducts run in an unconditioned crawl space. Of the 10 units air entering the supply ducts, only 7 make it all the way back to the house. Simple arithmetic: If you add 7 (supply air) and take away 10 (return air), you've got a negative number. In this case, the house will experience negative pressure due to the unbalanced duct leakage. That negative pressure will result in making up those 3 missing units of supply air with air that infiltrates from outside the house. It may be from the crawl space. It may be from the attached garage. It may be from the attic. Somehow, some way, though, the house will get more air. And it may well be the kind of air you'd rather not breathe. Another way that your ducts can hurt the indoor air quality in your home is by contributing to backdrafting of a combustion appliance. When exhaust gases cannot go up a flue because the combustion appliance zone (CAZ) is under negative pressure, they go into the air in your home. When backdrafting, a combustion appliance like the natural draft water heater you see below is more likely to produce carbon monoxide. You don't want that in your air. The duct system can contribute by leaking on the return side in the CAZ, thus creating a negative pressure there. If that leakage combines with the air being pulled in for combustion by a furnace, as shown below, it may be enough to backdraft the water heater. If you want to increase the chances of backdrafting, throw a clothes dryer in the same room. It could also be that closing the bedroom doors creates pressure imbalances within the house. If the house has a central return vent and the bedrooms have only supply vents, closing the bedroom doors will create a positive pressure in the bedrooms and a negative pressure in the part of the house where the central return vent is. If the central return vent is close enough to the CAZ, you may have a situation on your hands. The final problem here is the bad air you get by starting unintentional biology experiments. One thing that mold needs to grow is water. Take that away, and your mold problems go away. Add enough water, and you're almost guaranteed to get mold because the other ingredients—spores, a food source, air, and reasonable temperatures—will be there already. A poor duct system can reduce moisture control. Many air conditioners already short cycle because they're oversized. When return ducts pull in extra moisture from a damp crawl space or basement, the marginal moisture control of an oversized air conditioner may cross the threshold that leads to mold growth. The late Senator Ted Stevens gained notoriety for describing the Internet as a "series of tubes." That metaphor may be a bit of a stretch, but the ducts that carry air in your HVAC system really are a series of tubes. Ideally, you want no leakage at all in them, and the folks who are members of the Ring 4 Club are getting really close to that goal. You also want them sized properly, installed well, and commissioned. And here's the thing. It's not just because you want to save energy or be more comfortable. Those are great objectives, of course, but having good indoor air quality is a higher goal. I grew up with really bad asthma, so I know the importance of good IAQ. I've also learned a bit of building science over the past few years and know that all this stuff is interconnected. Your duct system is more than just a series of tubes. It's a critical component in your indoor air quality. You'd be much better off getting a minimum efficiency heating and air conditioning system and spend extra to get the best duct system you can. Your lungs and your health will thank you, and you'll still probably win on saving energy and being more comfortable, too. NOTE: Comments are moderated now. Your comment will not appear below until approved. The picture under "4. 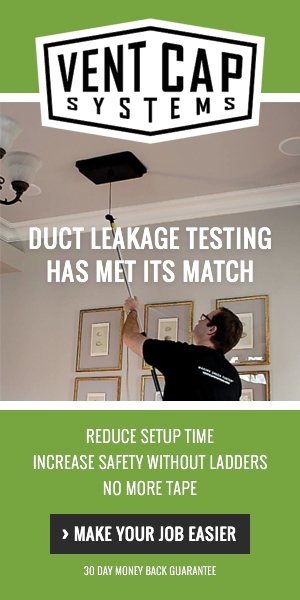 Leaky ducts may lead to poor humidity control" could be a supply air or return air grille. More than likely it is a supply grille covered with mold. The heading could imply that the cause is leaky ducts. Some even say that the moisture source is water droplets carried off the cooling coil! The source of the grille moisture is a high dewpoint in the room which could be from a number of sources/causes including leaking ducts. The cold supply air makes the grille cold. When the thermostat cycles the AC off, water vapour in the high dewpoint room air seeks the coldest surface and condenses on the grille. Most of your blog readers already know this but a few may benefit from an extended explanation. Great article indeed. Thanks Clare, I didn't realize the Ring 4 Club site was down. All fixed now. I just knew, the moment I read the title, that we'd be subject to seeing the poor dead Possum yet again! The moldy sidewall supply grill may be the result of a crappy duct system moving well below 350-400 CFM / ton, but it could (indeed more likely is) the result of a shoddy envelope or ventilation issue causing abnormally high indoor humidity. Mold formation on painted metal surfaces is less common than mold formation on the surface of drywall since drywall surface has yummy cellulosic mold cavier whereas painted metal surfaces normally do not. I see many of these items when consulting homeowners. Thanks for all the great info! Great post! Our company, EcoVent Systems, automates vent control. We just put out a whitepaper on how important it is to monitor system conditions when opening and closing vents. When you don't, you get many of the same problems described here.